If you’re going on a backpacking adventure in the Philippines, the accommodation options might seem to exist at opposite ends of a wide spectrum. On the one hand there are cheaper, hostel-type places to stay. On the other, there are glittering, world-class resorts. The latter probably isn’t what you’re looking for if you’re traveling on a budget. But that doesn’t mean all of the resorts around the country should be considered off-limits. There are plenty of relatively affordable places where you can spend a comfortable night or two during of your travels. These are just a few we’re highlighting. This resort is on Busuanga Island, on the southern side near (but not directly facing) Coron Bay. The scenery around the hotel is about as nice as you’ll find at a resort where a night’s stay can cost you under $75. It’s partially for this reason that TripAdvisor assigns it the top value out of more than 1,800 hotels in all of the Philippines. The rooms and amenities are on the nice side of standard for a 4-star facility, and the view from the pool area will keep you very much aware that you’re still in the middle of a journey through the country. Lush vegetation surrounds the backside of the hotel, with picturesque mountains in the distance. Plus, when you’re staying at the Coron Westown, you have easy access to the beautiful waters of Coron Bay. This i hand should you want to find your way out on a boat or decide to go for a dive. This is a small hotel run by Wyndham and located right on the Sulu Sea on the island of Palawan. For its price (rooms here can also run for less than $75, if not less than $50), it’s a stunning place to stay. Beachfront rooms have a view of the turquoise waters of the sea, the pool is right between the hotel and the beach, and fun activities like snorkeling, diving, and kayaking are easily accessible. For enjoying the sheer beauty of your surroundings, it might be the best budget option in the country. Located just outside of Laoag City on the western side of Luzon, Fort Ilocandia Resort is a wonderful place to spend a few nights. It’s one of the few affordable options that actually includes similar entertainment to what you’d find at a major resort. There’s a golf course, a beautiful pool, and even a small casino. If you’re a fan of gaming, you're probably familiar with the fact that the most popular slot titles now exist on the web with all kinds of special frills and bonuses. But you can find some of the same games in-person at the Fort Ilocandia Resort for a bit of casual play in the midst of your trip. Entertainment aside, the resort also has very comfortable rooms and is an excellent place to stay for the frugal adventurer. This one can be a little pricier than some of the other options, in part because it’s more remote. 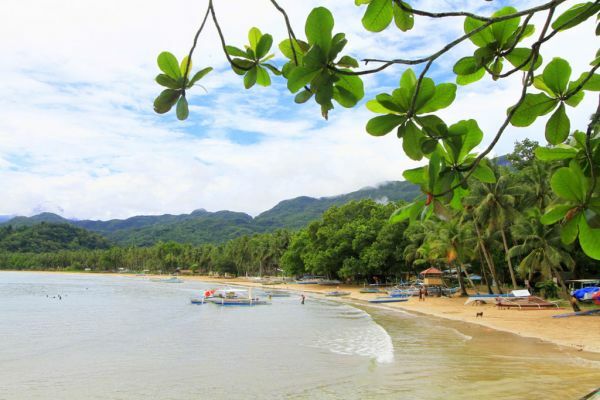 It’s located on a tiny island east of Puerto Princesa, and serves as one of the best natural getaways you’ll find. It lacks some of the comforts and amenities of other resorts, but more than makes up forit with huts on the beach and beachside restaurants serving tropical cocktails. It’s an excellent spot for diving, though it's also about as good as it gets if your goal is to lay down by the beach and relax.